Manufacturer of a wide range of products which include pp liners for fibc, under slab vapor barrier, ldpe spout liner for fibc, ldpe liner for dunnage bags, conductive liner and linear low density polyethylene bag. With thorough understanding of the relevant market, we are offering a broad assortment of PP Liners for FIBC. Our offered array is highly demanded across the nation for their durability and premium quality. In compliance with diverse needs of our clients, we manufacture these products using prime grade raw material and advanced techniques. Our offered products are accessible in different sizes as per the choice of our clients. Resist High Fill Temperatures up to 140 degree C. (284 degree F.) Idle for Fly Ash, hot Cement filling. To ensure the high standards of these temperature resistance liners, we manufacture these by making use of the best grade material. After the completion of the manufacturing process, we check these temperature resistance liners so as to ensure their flawlessness. 100% Recyclable Along with Outer Pp Fibc. No Need To Remove The Liner Before Recycling. 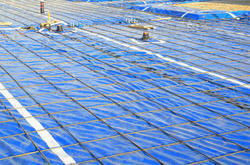 Abiding by quality focused policies, we are engaged in manufacturing, supplying and exporting Under Slab Vapor Barrier. Along with this, offered barriers are rigorously examined on various parameters of quality, before the final delivery to the patrons. Available in various specifications, all these barriers are appreciated for their following attributes. We are a trustyworthy organization offering a wide a gamut of LDPE Spout Liner for FIBC. 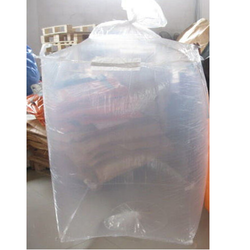 We are an unparalleled name in offering a wide gamut of LDPE Liner for Dunnage Bags (Low Density Polyethylene) that is available in different sizes and thickness. The offered liner is precisely designed with the help of supreme quality low density polyethylene material and contemporary machines in compliance with set industry norms. 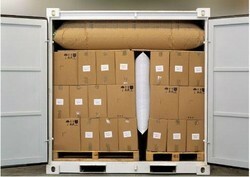 It is used for packing different items in number of industries. We offer this liner in different sizes, colors and designs for our clients to choose from. Clients can avail this liner from us at affordable rate. Is 100% recyclable, protects from harmful ultra violet rays, and is water resistant. A Conductive Liner is used to protect against unwanted static discharges in an electro statically sensitive environment. With our conductive liners, the generated charges are safely drawn through the conductive material and discharged by grounding the package, eliminating dangerous static discharge risk during the loading and unloading of a conductive fabric bags. 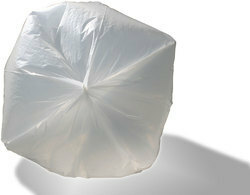 Liners are made as per international standard iec-61340-4-4- edition 2 and are used for type c fabric bags. 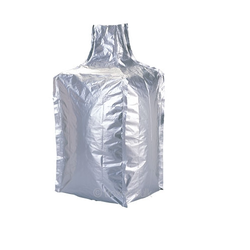 The Linear Low Density Polyethylene Bag (LLDPE) used for these liners has a higher tensile strength providing toughness, and flexibility to the dunnage bags allowing the bag to stretch and expand relatively easy. This is especially valuable when shipments travel in higher altitudes where lower air pressure can cause some inferior bags to fail. We are a trustyworthy organization offering a wide a gamut of LLDPE Flanged Liner for FIBC. We manufacture Bottom Sealed and Open Both End Liner for the FIBC industry, bottom sealed, both ends open, with and without gusseting and in width up to 2500 mm Flat And With gusseting up to 3100 mm. Thickness we can make up to 200 microns. We can make LLDPE, LDPE, HMHDPE, PP and also in 3 Layer Poly Amide. Form Fit Liners (cube-shaped) are manufactured to form fit the internal shape of your intermediate bulk container. Form-fit IBC liners provide high performance in critical applications, such as top-fill applications using a bridge or automated filler; containers with no access doors for placing a liner at the bottom; high speed fills and viscous products that would get caught in the folds of pillow-shaped liners. Form Fit Liners offers lower weight, lower handling cost, lower cargo damage, lower product loss, lower freight and lower waste disposal cost that eliminates pallets and packages. It is more economical than other bulk systems and is easier to install too. We offer multipurpose and specially designed liners, with a large group of accessories - a variety of solutions to better transport your cargo. Both Side Spout Without Side Sealing. Leveraging on our experience, we provide a wide range of Suspended FIBC Liner that are used for carrying different items in a safe condition. We make Liners for the Single loop bags, in widths up to 2000 mm Lay Flat and up to 5000 mm long and in thickness up to 150 microns. So as to cater various requirements of our clients, we offer these Suspended FIBC Liner in various designs and specifications. Manufactured using optimum quality basic material and modern technology, these Suspended FIBC Liner are in line with industry standards. 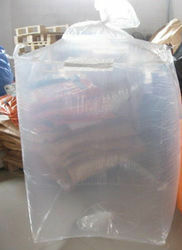 Furthermore, these bags are available to the clients at nominal prices.